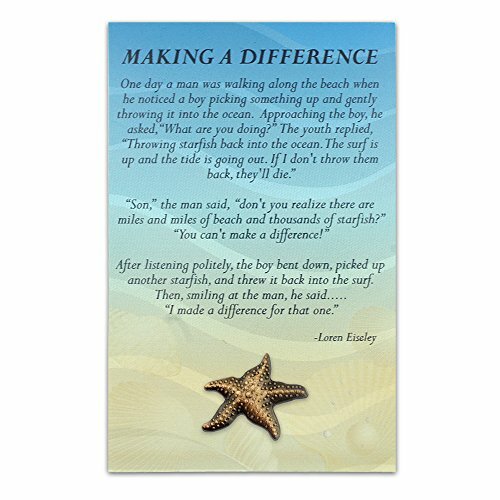 Starfish Pin with Presentation Card. 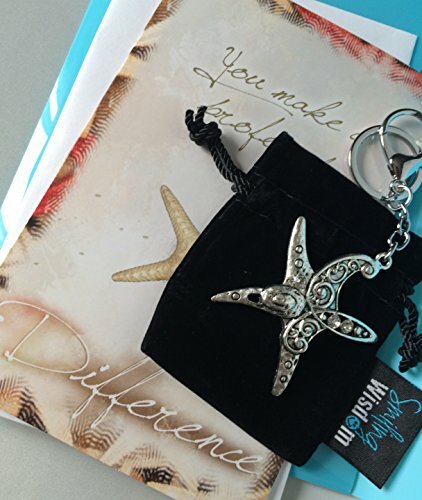 Each 1" Pin is a beautiful rendition of a starfish, 3-D, with antique gold plating. 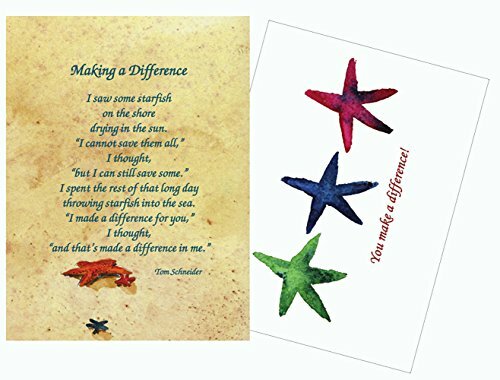 It is attached to a 4-1/4" x 2-3/4" presentation card with the "Starfish Story" by Loren Eiseley. 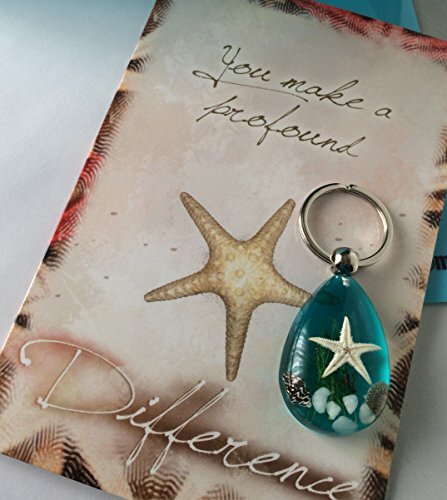 A perfect token for those who truly make a difference every day! Each includes a standard clutch back and is individually poly bagged. 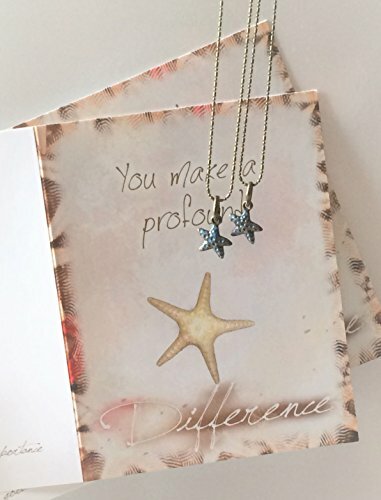 Starfish Sand Necklace and Made a Difference to that One Starfish Story Card. 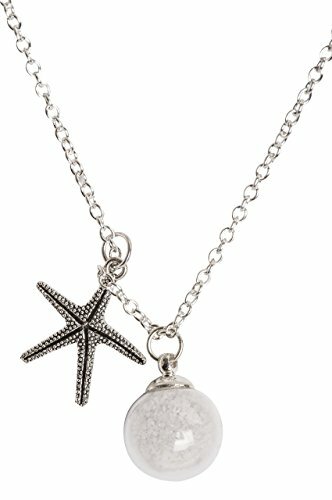 Hand blown Glass bulb with sand and detailed starfish charm necklace. Thank You to those who Make a Difference! 18"
This necklace was put together with all those who make a difference in the world, one person at a time, in mind. It a simple reminder and thank you. 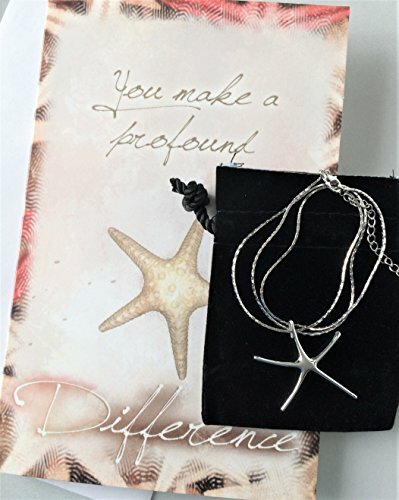 This beautiful 18" necklace set comes with the famous Starfish Story card and gift box for easy present giving. Sure to be treasured by those who you appreciate and beach lovers as well. 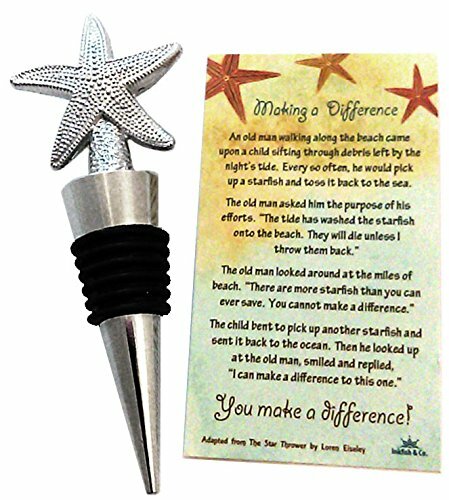 Silver finish starfish bottle stopper presented in a drawstring burlap gift bag with enclosure telling the Starfish Story about making a difference. 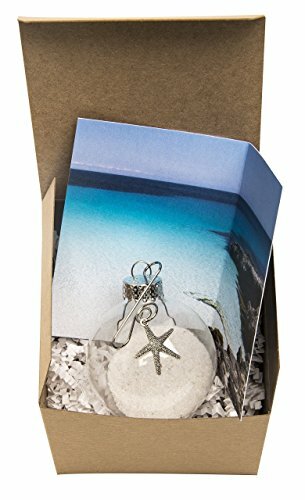 Sand and Starfish Story Ornament. 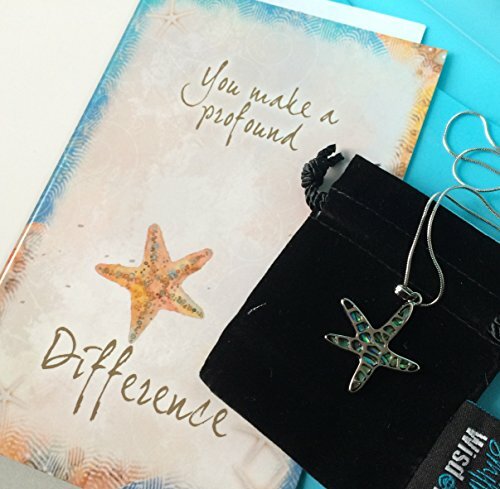 Made a Difference to that One Story Card Gift Boxed |For volunteers and Those who make a Difference. Hugo the Happy Starfish "THE MAGIC OF THE MOMENT"